first there was Raiders of the Lost Ark. with a careless flick of his rope whip and a wave of his trademark fedora hat, henry “indiana” jones (harrison ford) easily wormed his way into his fans’ hearts. i guess after Star Wars — where the actor played space buccaneer han solo — it was hardly a surprise. still, with his exciting exploits, rough-hewn looks and lopsided grin he dug deeper into our affection. and then there was the perky and resourceful marion ravenwood (karen allen) who was practically his female counterpart. at the time the movie came out, i thought there would be another movie like it. it was a fun, exhilarating ride and Indy was a remarkably easy to like as a protagonist — he wasn’t pretty but he was intelligent, capable, and could play rough when needed. and most of all, he was funny. you could laugh at him (who could forget his reaction to his pet peeve?) but it doesn’t change the fact that you still admire him. he was a REAL guy, an adventurous academic, if you will. and he was cool. then, came Indiana Jones and the Temple of Doom. i think it was the first movie that i lined up for (about 45 minutes) and ended up watching 3 times before it ended its run in local theaters. it was far better than Raiders of the Lost Ark. and Willie Scott (Kate Capshaw was a scream)! i remember squirming — those bugs — and laughing along with my cousins during some parts of it. i still rate this film as one the best adventure flicks i’ve seen. when The Last Crusade came out, indy was already showing unmistakable signs of aging. still he was the same old tough customer and just as charming as ever. george lucas made an inspired decision by casting sean connery as indy’s father. and they even gathered the old crowd (john rhys-davies as Sallah, denholm elliot as marcus btody) to ‘enhance’ the story. 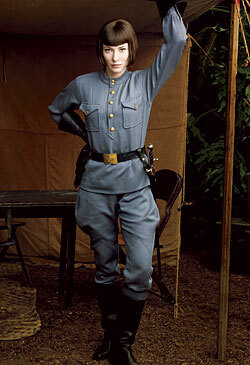 this time the leading lady was alison doody (as elsa schneider) and the bad guys were the nazis (again!). hey, even old adolf himself had a cameo here. also it was fun to watch the father-son dynamics between two obstinate guys (indy hated being called “Junior” and retaliates by calling his old man “pops”, which of course irks Indy Sr. no end). 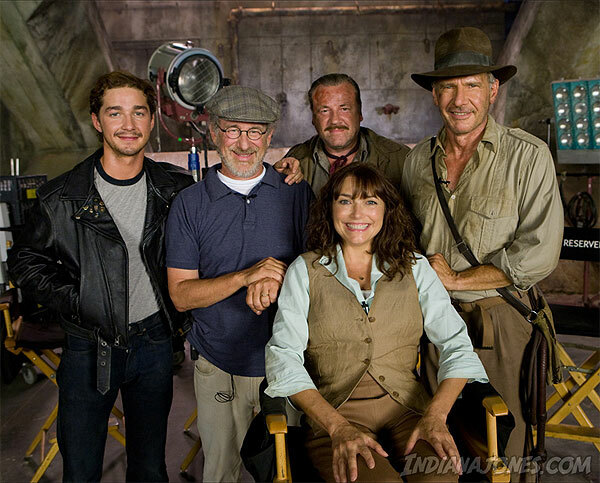 and so now we come to the last indiana jones picture: IJ and the Kingdom of the Crystal Skull. we know of course that at his age, we can no longer expect Indy to do his usual swashbuckling stuff (at least, not as much), so i guess it’s no surprise that george lucas added rising star shia labeouf to the cast — ostensibly to bring in the younger crowd. and for his leading lady, we have no less than cate blanchett (Spalko), who prances onscreen in an uncompromisingly black wig (which looks like it’s been screwed on with metal plates). and oh wait, karen allen also appears here, too. boy i can’t wait. 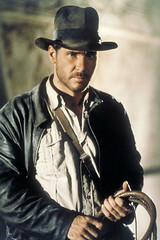 Indiana Jones and the Kingdom of the Crystal Skull will make its bow in local theaters on May 22, 2008.